Life is beautiful and we are born to be beautiful. Every one of us who has got this privileged gift to experience 'Life' must consider it as 'Beautiful Life' for everyone of us is the unique creation of the creator as God said; "Let us make man in our image, according to our likeness; and let them rule over the fish of the sea and over the birds of the sky and over the cattle and over all the earth, and over every creeping thing that creeps on the earth." Life is wonderfully beautiful in uniqueness. Once we are born in this thought-provoking wonderful world, there is our besotted parents to care and rear us and guide us through all the stages of life till our boldness, by then we volunteer to take in charge of our own life because we must take it, it's our responsibility. After all the story is same which has been narrating since the time of the creation of our great, great, grand parents. The story is; as an arrival we are welcomed heartily, as a babe we crawl, as a child we remain within the shell of innocence and ignorance, as a school-goer we learn to yearn for goodness, as a youth we implement goodness giving our all the best, at working age we do the jobs, if time and life suit us we get married and plan for the future, at middle age we groom our children for their life, at old age we do the preparation for the uncertainty. And our untold stories will be continued by our children in which they will narrate this same story in their own ways. In our story, marriage life is the final turning point and it is the cardinal stage which determines the future of both the teams and the children. Therefore, before marriage, before this turning point we must ask ourselves whether we will be able to live for each other's eternity. Remember, we will be assigned with greater responsibility for we will be shouldering liabilities of both spouse and parent. We need to think thoughtfully at this very point as quoth by Francois Rabelais; "When undertaking marriage, everyone must be the judge of his own thoughts, and take counsel from himself." Plato said; "According to Greek mythology humans were originally created with four arms, four legs and a head with two faces. Fearing their power, Zeus split them into to separate parts, condemning them to spend their lives in search of their other halves." And I continue; finally when they find their other halves in marriage, they become so powerful that everything turns the way they would love to have. According to Wikipedia; "Marriage (also called matrimony or wedlock) is a socially or ritually recognized union or legal contract between spouses that establishes rights and the obligations between them, between them and their children, and between them and their in-laws. The definition of marriage varies according to different cultures, but it is principally an institution in which interpersonal relationships, usually sexual, are acknowledged." And Michel de Montaigne said; "Marriage is like a cage; one sees the birds outside desperate to get in, and those inside equally desperate to get out." According to me, I believe marriage as a union of two beautiful understanding lives as inseparable as body and soul or should I say marriage is the creation where body and soul unites to challenge the world ahead.The ins and outs of my belief is life comes to us as a beautiful gift and marriage wraps this gift to make it more becoming and bewitching where future seems to be bright and right. We feel as if we have got hold of those twinkling stars or felt the flight of a bird's journey. During marriage, how happy you will be to have got some one your very special. Think about your parents and siblings, how blissful they will be to experience your marriage and they will have amplitude of dreams from you. How about your friends? They too will be cheerful and chirpy to see you with a bold decision to start your new life with you dear beloved ones. After marriage, life becomes more wondrous in which your dear sweethearts are always near you to love you, care you and accompany you in the making of your own future. Two strong dreams unites to a powerful dream. Two hopes strengthen to oneness. Though two bodies, souls become one. Everything becomes same. Sun, their happiness. Wind, their sadness. So they must unite for both sun and wind. If one fails both fail, if one succeeds both succeed. But remember; "No marriage can stand up under the strain of incessant association," as said by Johnny Weissmuller. The bees and flowers will have enchanting and engaging time helping and leaping each other for each other's eternity. While journeying you get to see beautiful things at your side and your other better half describes you about the things you missed. When the time ripens you will have beautiful baby and how happy you are at the time when you charmingly welcome your own invention to this beautiful world. Once again your parents and friends will come into picture, think about your very much loved parents and doting friends, how happy they will be to see your own child. They will submit you an immense and eternal congratulations. The happiness you get will be immeasurable. But in suddenness, thoughtlessly you make up with your mind to change the path of your journey, I mean you decide of getting a divorce. Why divorce? When married. It is worthless through Catherine Deneuve's belief; "I don't see any reason for marriage when there is divorce." Remember, there are neighborly 7.125 billion people in the world and among these, you have selected it. Don't you think your selection was your own treasure? Then why divorce? Due to argument? Forget about this, "the only way to get the best of an argument is to avoid it," as said by Dale Carnegie. If you are wrong admit it quickly and emphatically, this is the best way of getting support from others and Ogden Nash beautifully puts in; "To keep your marriage brimming, with love in the loving cup, whenever you're wrong, admit it; Whenever you're right, shut up." Misunderstanding? It happens because it is a usual happenstance that makes you understand as said by Will Rogers; "Good judgement comes from experience, and a lot of that comes from bad judgement." What would your parents feel about it? What would your friends think about it? It would be dolefully fine for those who have no child but got to think thrice for those who have their dear beloved child. What your child would think about your divorce? Would your child feel happy to see you at the very moment? Would you not feel ashamed in front of your child to face such case? Remember, you are the only one to whom your child can rely on, you are only the one whom your child can trust with completeness. Remember there will be zillions of thoughts lingering in the child's mind and if this thought is so intense that a child cannot resist it will take life. If it happens, you are butchering your own creation. It is an odious crime. Remember; "Anybody who's been through a divorce will tell you that at one point they've thought murder. The line between thinking murder and doing murder isn't that major," as said by Oliver Stone. This reminds me of my high school times when one of boys tried to commit suicide by consuming excessive medicine after hearing parental divorce. There have been many causes those direct a child to self-destruction and one of those epoch-making causes is 'parental divorce' which makes them insane. Whenever they think of your divorce, they feel demented and deranged as said by William Shanter; "Divorce is probably as painful as death," and I add, if not for you, it is totally guarantee for your children. Finally, with their uncontrollable footsore emotions they abuse themselves through overdose, intoxicant, substance abuse, pill-popping and many other drugs. They feel they have left no alternatives apart from abusing themselves. Majority of youth do this and there have been such numberless cases, where parental divorce has been the main causation of youth abuser. 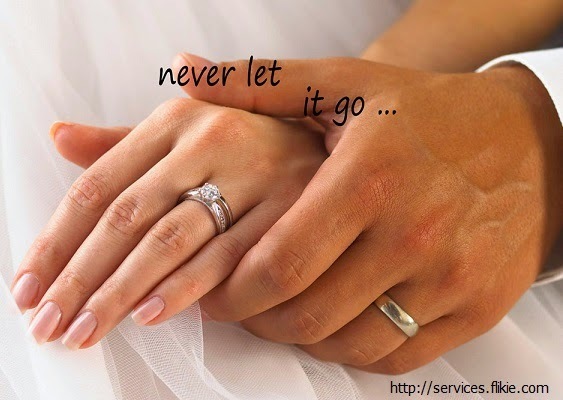 Your divorce is not only affecting you but it has an indestructible influence over the circle of your beloved ones. Your divorce can be compared to a pebble that ripples the water, disturbing the calmness and composure of it through its costly cruel wave. And once you do it, it will be done and you can never undo it, your horrible and nasty scar will always be printed in their hearts for ever, especially for your child it will be a hellish scar as said by Isla Fisher; "You can't underestimate how traumatic divorce is for the children." Even if you remarry, do you think you will feel full? Remember; "A divorce is like an amputation: you survive it, but there's less of you," as said by Margaret Atwood, you will feel as if you have missed something special, I mean the very charm of your life. And if you keep your child with you, do you think your child will get, what you really what to give? Do you think your child will feel what s/he has to feel? Even if you are able to give her/him a good amount of wealth, you won't be able to give well in terms of love and care because the child will miss one of you. Besides, the doubts and qualms will add to you and your child's miserable. Unlike Don Adams' notion; "I like getting married, but I don't like being married," we must love getting married and feel more comfortable being married. The best way to strengthen YOUR marriage is to treat your spouse exactly in the way you did in the beginning of your relationship, tell her that you can get moon for your sweetheart and bring her flowers, she will feel the moon, always say with patience and love, tell her that you miss her every moment and don't forget to kiss her, I know things will turn out to be best for both. How beautiful it would be, if you turn the other way round and drive your life with your nuclear family and I say certainly that this will be the best moment of your life. Indeed a best time for all of you. Remember; "A successful marriage requires falling in love many times, always with the same person," as quoth by Mignon McLaughlin. Enjoyed the article. I admire the way you put your thoughts into words. Keep it up bro! Thank you Lekey for taking your time to read and comment. Hope everything is going well everyday. Yeah, Happy Blesses Bright Rainy Day. Take Care.